Dallas Hendry Smith (born December 4, 1977) is a Canadian rock and country singer-songwriter. He is best known as the lead vocalist for alternative rock band Default. He is currently signed to 604 Records/Universal Music Canada and released his solo debut country album, Jumped Right In, on May 22, 2012. The album has since sold over 100,000 digital singles and generated five singles on the Canadian Hot 100. Jumped Right In was nominated as Country Album of the Year at the 2013 Juno Awards. At the end of 2012, Mediabase named Dallas Smith the most played Canadian country act and number 8 overall at the format. In 2013, Smith was nominated for Male Artist of the Year, Single of the Year and Album of the Year by the Canadian Country Music Association. Smith performed on the CCMA broadcast award ceremony, which took place on September 8, 2013. Smith co-headlined the sold out Boys of Fall Tour in November 2012 and performed at numerous Canadian country festivals through 2012 and 2013. In March 2013, Smith went on a sold out Canadian tour with Bob Seger. He supported country singer Jason Aldean in Dawson Creek, BC on September 30 and October 1, 2013. Before his solo career, Dallas Smith was the lead singer of multi-platinum rock outfit Default. Default are best known for their number one single "Wasting My Time". 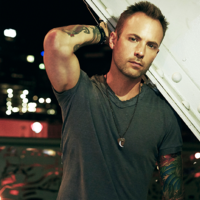 Dallas Smith always had a passion for music growing up. Some of his main influences were The Beatles and female country singers Reba McEntire and The Judds. Due to his shyness, Smith was reluctant to express his musical talent until he made the decision to face his fear and play cover songs with a band consisting of some of his friends. He signed his first record deal when he was 21. Jumped Right In was released on May 22, 2012 via 604 Records under the production of Joey Moi. The album features tracks written by Smith along with Moi, Rodney Clawson, Craig Wiseman, Chris Tompkins, Zac Maloy, Chad Kroeger and more. It peaked at number 19 on the Canadian Albums Chart and has generated five charted singles on the Canadian Hot 100. The album was nominated for Country Album of the Year at the 2013 Juno Awards and was also nominated as Album of the Year for the 2013 Canadian Country Music Association Awards. The album has sold over 100,000 digital singles to date. In November 2012, Smith performed on his first solo tour, co-headlining with Chad Brownlee. The tour was billed as the Boys of Fall Tour and traveled across Canada, hitting 22 cities. The tour sold out on 20 of its dates, including the Commodore Theatre in Vancouver, BC. Stemming from the success of the Boys of Fall Tour, Smith and Brownlee teamed up to create the annual Boys of Fall Charity Golf Tournament and Concert. The tournament took place at the Redwoods Golf Course in Langley, BC on August 27, 2013 and was sponsored by the radio station JRfm. Proceeds from the event were donated to Basics for Babies, an organization that assists families coping with the challenges of raising a young infant by providing them with needed food, formula and diapers. The tourney is currently in its second year and will take place on August 26, 2014. In October 2013, Smith signed with Republic Nashville and released his first American single, "Tippin' Point". It was written by Brian Kelley and Tyler Hubbard of Florida Georgia Line with Jaren Johnston. Smith released an extended play, Tippin' Point, on March 4, 2014 in the US and Canada. Three singles have been released from the EP so far. The title track was a top 5 single on the Canadian country radio chart and was pronounced the fastest country single to be Gold certified by Music Canada. Since then, the single has been certified Platinum in Canada and the "Tippin' Point" video was ranked number 1 on CMT Canada. In the US, the song "Tippin' Point" was ranked number 1 on Sirius XM's The Highway Hot 45 Countdown and has sold over 120,000 singles. Smith followed up the success of the first single by releasing "Slow Rollin'" in March 2014. The track was a top 5 single at Canadian country radio. A third single, "A Girl Like You", was released in June 2014. Smith's single "Slow Rollin'" is performed by Lady Antebellum on the deluxe edition of their album 747. In 2014, Dallas Smith entered a recording studio in Nashville to record his second full-length studio album with producer Joey Moi. The album, Lifted, was released on November 25, 2014. Smith released the first single off the album, "Wastin' Gas", on October 28, 2014. Smith married his longtime girlfriend Kristen in 2012 and has a son named Carson. In 2014, Kristen gave birth to their baby girl, Vayda.